My American Government classes are wrapping up their first unit HyperDoc over the foundations and formations of government, and we’re slowly getting back into the swing of school! 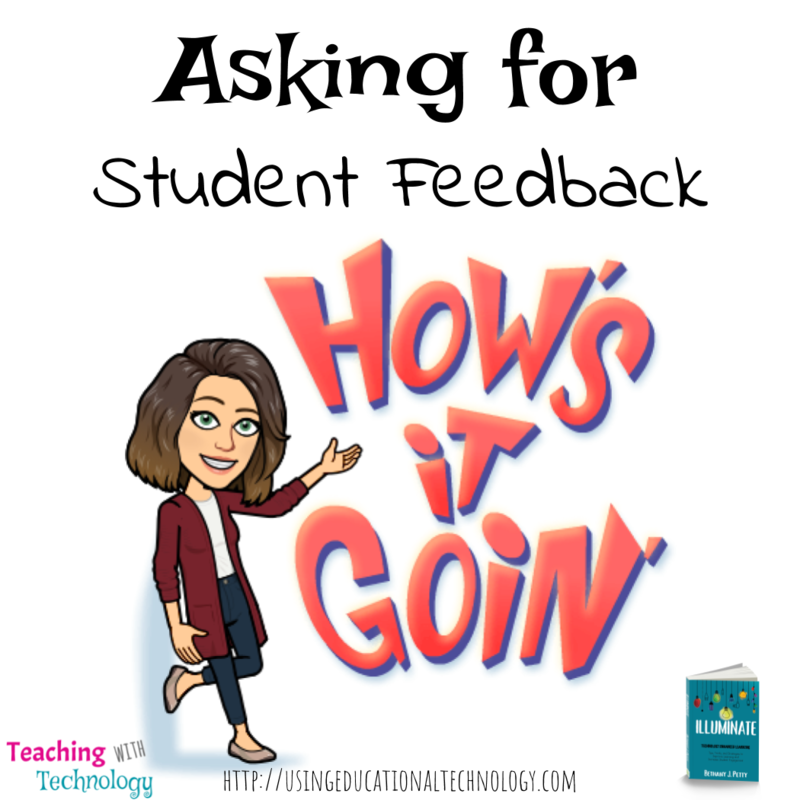 This year, I’m making a conscious effort to provide my students with more choice in how they demonstrate understanding and to also solicit their feedback on class assignments, activities, and instruction. My goal is to increase student engagement and make the learning environment awesome for all of my students. After all – it’s not about me, it’s about them! 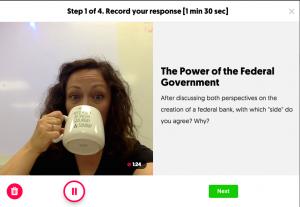 Toward the end of last school year, I tried a unit-long HyperDoc in my Government classes. After we had finished the unit, I surveyed the students to gain their perspective on how well this new strategy had worked. The results were overwhelmingly positive! 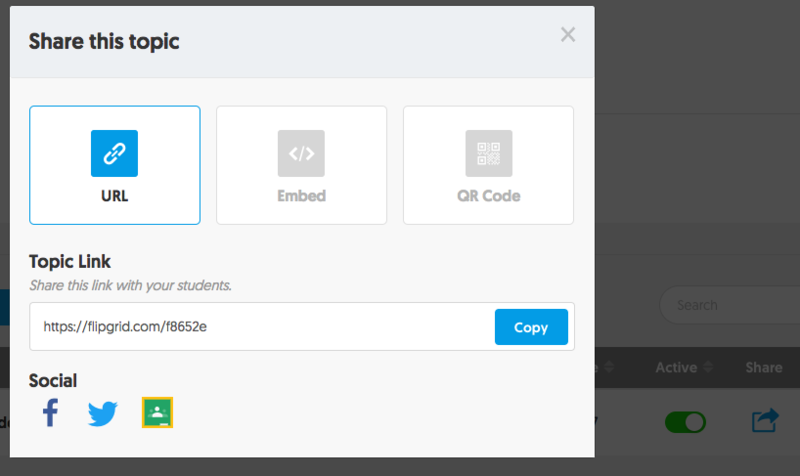 At the beginning of this school year, I introduced the modified version of the flipped classroom and the use of HyperDocs throughout the duration of the course. I shared with my students the success that classes last year had with the HyperDoc, and they were ready to get started! As we progressed through the HyperDoc, I only gave my students one due date – to submit the entire HyperDoc. After reading their thoughts and reflections from their performance and experience with the first HyperDoc, I’ve decided to make a small change for the next unit. Instead of only providing one due date for the end of the unit, my students asked for checkpoints to be assigned throughout the unit. I did this informally with the first HyperDoc, but will definitely make a point to assign specific due dates for sections of the HyperDoc. Students also asked for more formative assessment (in so many words) throughout the unit, and I’m happy to oblige! 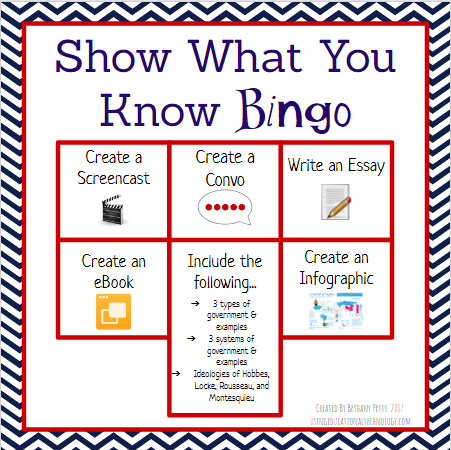 The student response to the Show What You Know Bingo has been absolutely great! They’ve produced wonderful projects –> creative, unique, and something they can be proud of. WAAAY more fun than a worksheet! A student asked me this morning if we were going to “keep doing the bingo thing” for the rest of our units, and was pumped when I said yes! I’m also making a conscious effort to solicit feedback from my students on a regular basis. The instructional strategies, activities, and assignments are, of course, designed to help my students learn. So … why wouldn’t I ask my students how things are going? My teacher-heart was swelling with pride as I read my students’ reflections because they actually REFLECTED on their learning, their effort, and the instruction I was providing. It was fabulous! One main pieces of feedback from these reflections was that my students, as I mentioned earlier, want checkpoints throughout the HyperDoc instead of one due date at the end. And … I’ll definitely make that happen! Student choice and reflection are absolutely fantastic – it’s great to hear feedback from the most important people in the room. After all, it’s not about me – it’s about them! Using Flipgrid in the Classroom: I’ve Caught #FlipgridFever! 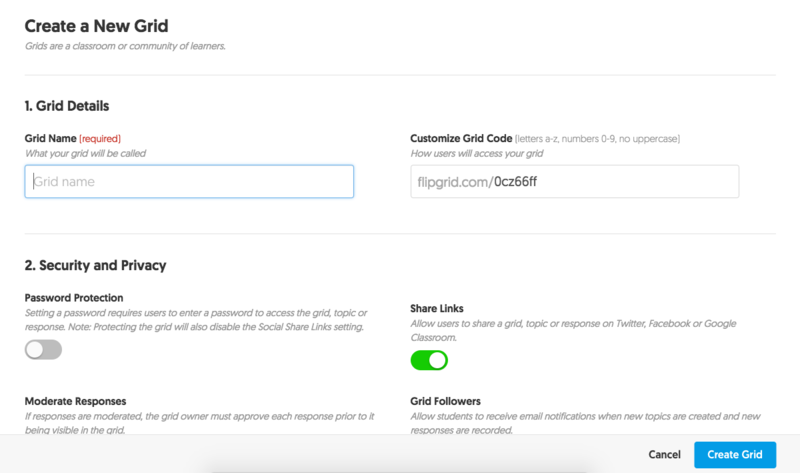 I’m sure you’ve heard of the new tool that’s taking the world of educational technology by storm: Fl ipgrid! If you haven’t, holy awesomeness, prepare yourself now. 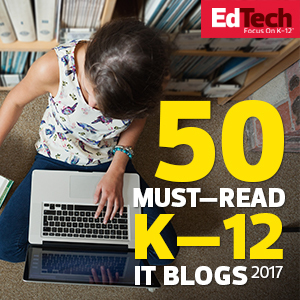 I first learned about Flipgrid earlier this year when they were announced as EdTechDigest’s 2017 Winner in the product or service category. (By the way, I was included as a finalist in the School Leader category! Whaat?!) I immediately put Flipgrid on my list of things to try with my summer school dual credit classes. My summer school classes often become my trial classes for new tools I stumble upon! Name your grid and fill out the other information … you can customize the last section of the URL to fit the needs of your grid! Teachers can share grids with students via URL, by embedding it in a website, by creating a QR Code, sharing through Facebook or Twitter, and even adding to Google Classroom!! 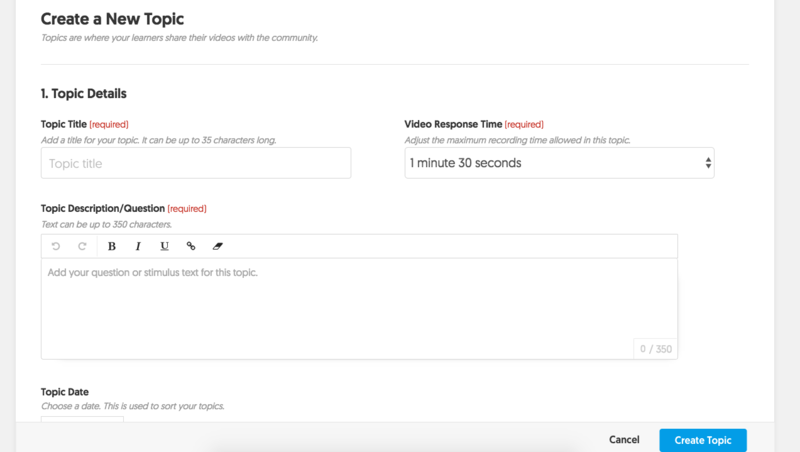 Next, you’ll create a new topic, add a question, set a maximum video time, and can set other parameters for your assignment. 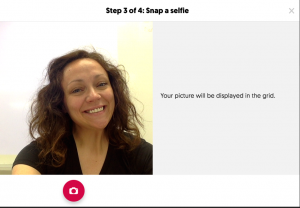 Teachers can also upload a video with instructions for their students! Like with the grid itself, teachers can share specific topics with students via Classroom – you can create an assignment by sharing the grid! Woohoo!! When students are ready to create their video, they simply access the link shared by the teacher, and click the record button! Next, your students will be asked to review their video, snap a picture for the grid, and enter their name (and email if you require it) to be visible on the grid. 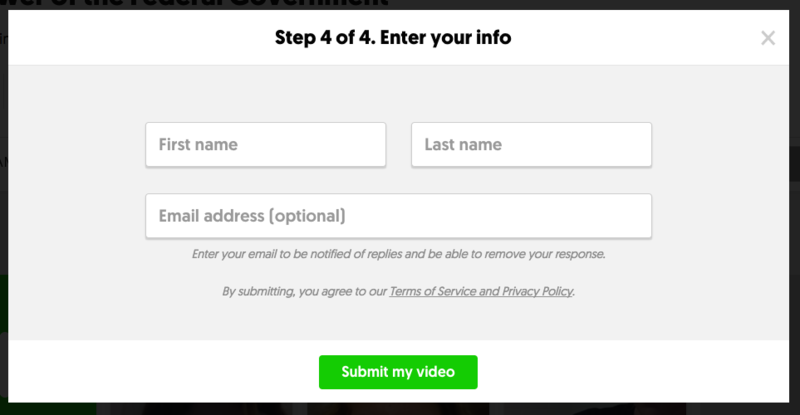 Teachers can provide students with feedback through Flipgrid and can send comments via email! formative assessment –> Use Flipgrid as an exit/entrance ticket! 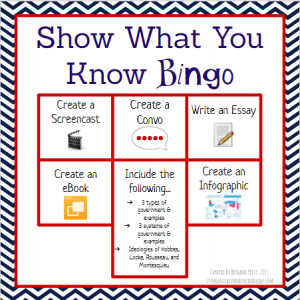 pre-assessment –> Assess prior knowledge! student introductions –> For class AND for global collaborations projects! passion project proposals –> I’m SO doing this next year! book/chapter reviews and discussions –> My students read Narrative of the Life of Frederick Douglass, Thirteen Days, Lord of the Flies, and Animal Farm throughout the year (in different classes!) 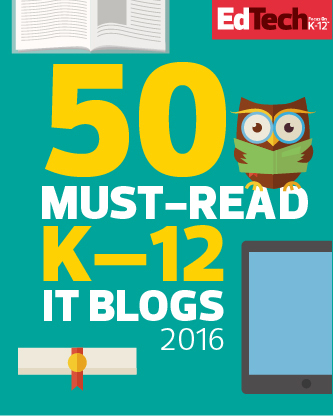 … I plan to use Flipgrid to supplement discussion boards and other activities we complete throughout these books! HyperDoc reflections –> This will be an AWESOME addition to my growing collection of HyperDocs! Digital BreakoutEDU –> Flipgrid videos can be used in breakouts! Student review –> Students can create a list of topics they feel they need to review for a test and can then create recordings that describe a particular concept or topic! Bonus missions! –> Teachers can encourage students to create raps, songs, poems, etc., that relate to a course concept! 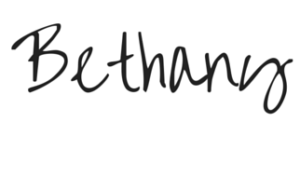 …and so much more! Flipgrid is one of those tools that I’ll add to my favorite edtech tools list! Teachers can also create global collaboration projects with Flipgrid by selecting “connections,” choosing a grid to share, and then adding a specific goal for the project. Teachers can choose to remove connections at any time … just think of the possibilities! By the way, have you joined my global collaboration database?! I’m so excited to explore and use Flipgrid more in my classes! How do you use this fantastic tool in your classroom? My students are still working on their first unit HyperDoc, and I’m starting to gather some feedback, all of which has been POSITIVE! (More on this later!!) One issue I’m having, and I knew this would happen, is what do the students do when they finish WAY before everyone else? I’ve added extend activities … check out my HyperDoc here … and these students have decided to work more at their own pace, which is faster than their classmates. Of course, the activity that we’re doing to hit the apply and analyze sections of Bloom’s will be a whole class activity, so they can’t work on that. They’ve even completed the activity for the “create” level … to my specifications! I know this is one of the perks (and scary parts) of moving toward a flipped mastery classroom, with more of a student-centered focus. I know this is something I need to get used to. I know. I know! Here’s where the Passion Project idea comes into play. Next year, I’m planning to create ALL of my units as HyperDocs for my students. At the beginning of the year, I’ll also introduce a year-long **optional** Passion Project to my students. When students complete their HyperDocs for the unit, they can use remaining class time (until the class is finished and ready to move on) to work on their Passion Project. I’ll also grant time after assessments and will designate other days throughout the year specifically for their projects. Each quarter, students will show me the progress made on their Passino Projects and will earn 25 bonus points. When I told my students their Passion Project would be over what they are passionate about, eyes lit up all over my classroom. I even gave them an example of my personal Passion Project – this blog! I really think this is going to be great next year … and I’m thinking about launching a mini Passion Project toward the end of this school year. Let me know about your experiences with Passion Projects!